The winter holidays are supposed to be joyful and packed with friends, family, and delightful festivities. Yet the unfortunate side effects of so much decorating, cooking, and celebrating often lead to possibly serious dangers in your house or apartment. The way to avoid a tragic conclusion to your festive season is to be aware of and prepared for the various risks that the holidays and winter season inevitably increase. In this article we look at the best ways to avoid fire, water, and other domicile disasters over the holidays. You should not ignore the fact that more than 28,000 individuals living in the average square mile of New York City means there are real dangers to your health you need to consider. For all the thrill and opportunities that living in the city provides, it also dishes up an unhealthy serving of congestion, pollution, and the ill side effects of so many tall buildings and skyscrapers. The largest city in the United States is justly famous for a wide range of things. Clean, healthy air to breathe is not among them. You do not have to look far to see smoke plumes curling from neighboring rooftops or to smell the fumes from too many cars and trucks exhausting in one city. Observers have pointed out for years that this high level of air pollution means significant health risks for inhabitants. It leads to a variety of ills over time such as lung cancer, heart disease, and asthma. NYC has estimated that as many as 2,700 yearly premature deaths can be blamed on fine particles in the air. To put this into perspective, this is eight times higher than all of the annual murders in New York for year 2013. Besides your everyday varieties of pollution, congestion, skyscraper fires, and crime dangers, you also have a lingering chance of having your children suffer from lead poisoning effects. Whether you live in an affluent or a more humble section of the city, thousands of children per year are still diagnosed with the heartrending and long-lasting terrible side effects from ingesting or breathing in lead-based paint particles and dust. These include often permanent brain damage, problems with fine motor skills, speech difficulties, and more. The best remedy for this particular threat is to have your apartment or house tested for lead based paint. It becomes dangerous if it is peeling and you have children of six years of age and younger living there. Besides the normal year-round dangers of life in the city, there are also a range of home disasters that are most prevalent in the usually joyous holiday season. Two of the most common of these are fire and water damage, but there are others including ensuing mold, carbon monoxide poisoning, and even increased chances of becoming a victim of burglary. The National Fire Protection Association warns that structure fires caused an incredible $10.3 billion worth of property damage in year 2015 alone. The risks of such a fire breaking out around the holidays and winter season are significantly higher than other times in the year. Fires start from many causes that are not always so obvious. An average of 8,200 different home fires are reported because of candles (every year on average from 2012 to 2016). The three most likely days to suffer from a candle fire turn out to be Christmas, New Year’s Eve, and New Year’s day too. Cooking fires are another common cause of preventable tragedies. The second and third most frequently reported cooking fire days in a year are Christmas day and Christmas Eve. The specific cause of such senseless and often dangerous or even lethal fires is unattended cooking. Another fire hazard to be particularly aware of around the holidays and winter months when they are most common are dryer fires. You should never leave your dryer running while you are away from the house or at night while sleeping. Water disasters, damage, and resulting mold are a second significant risk around the holidays and winter months. Frozen pipes are the prime culprit. They lead to burst pipes that can create enormous damage and completely ruin your holidays. Apart from potentially having no water at this time when cooking, washing, and other needs are so necessary, there are other potentially terrible results including the formation of sometimes hidden (but usually) toxic mold. Frozen pipes can be prevented in many cases. They most commonly result from thermostats that you set too low, poor insulation of your piping, and sudden or rapid temperature drops. Two other dangers to be on the lookout for this winter and around the festive season include carbon monoxide poisoning and burglaries. With heat and furnaces running constantly this time of year, there is always an increased danger of lethal amounts of carbon monoxide building up inside your home or apartment. You can buy carbon monoxide monitors to place in your bedrooms to prevent this senseless tragedy that leads to death in far too many cases. Where burglaries are concerned, the holidays unfortunately bring an increased number of incidents of break-ins and robberies. This is particularly the case in large cities with significant crime issues. Now is the time to ensure that you lock doors and windows securely and set your alarm systems whenever you go out. Fire and water-related disasters are dangers that you can mostly prevent if you take some basic precautions. With fires, there are many prevention tips that make great sense. Start with a basic one of only plugging in a single high watt appliance at once. This prevents dangerous overloading. You should never allow extension cords to become pinched in tight areas such as between furniture so that wires do not suffer damage and become shock and fire hazards. Flammable objects should not be left near a chimney when the fireplace is lit. In your kitchen, make sure you never leave working cooking appliances unattended. To keep children from overturning pots and suffering potentially serious burns, you should always turn pot and pan handles inward and away from the edge of the stove. T here are 200 Christmas tree-based fires every year on average. They cause a surprising average $14.8 million in direct damage yearly. 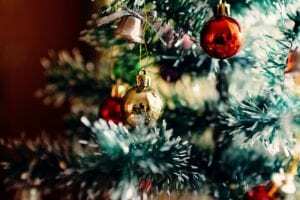 The National Fire Protection Association reveals that 40 percent of all home Christmas tree fires from 2011 to 2015 started because of lighting equipment and electrical distribution issues. Meanwhile heating equipment started 15 percent of them. Ensuring that you keep heating elements and worn lighting away from Christmas trees is an easy and sensible precaution. Remember to watch out for those candles around trees too as they caused eight percent of all Christmas tree-based conflagrations. Speaking of candle fire prevention, all you need to do is ensure that all candles stay minimally a foot distance away from flammable items. It also helps to put out candles whenever you leave the room or have small children and animals playing near them. 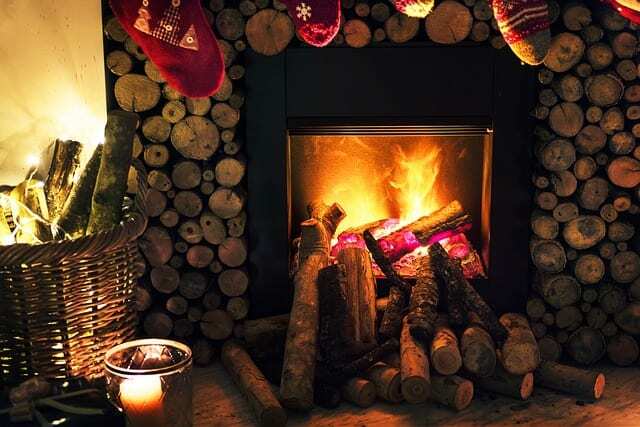 While everyone loves to enjoy a log burning fire on the fireplace, be sure you have these cleaned and inspected routinely. Water damage is also preventable this holiday season. If you have roof gutters, you should clean these out to ensure there are no damaging water spills near the foundation. Missing or damaged shingles you can check for and have repaired. You should visually inspect those pipes that are prone to burst routinely to keep an eye out for water stains beneath pipes, ceilings, and sinks. By insulating pipes, you keep them from becoming directly exposed to freezing temperatures. Leaks and drips are warning signs of greater but preventable problems to come. Leaking water heaters, pipes, and AC units should be repaired by a professional. The key with anything in life is preparation. The NFPA warns that a mere third of American residents have created and practiced a fire escape plan as an example. Authorities recommend establishing two escape routes minimally from all rooms in your home if at all possible. You should have all emergency phone numbers posted in easy to access points in your apartment or house. If you suffer from water disasters, you need to take effective measures to fully recognize the damage and danger. Mold is your greatest health threat, especially in more humid climates, but it can occur anywhere water leaks and burst pipes occur. Peeling paint, rust, high water bills, and water spots all indicate that mold is imminent. In light of all of these holiday and winter dangers that can occur, you can not overestimate the importance of home insurance. This will be your lifeline should you suffer the devastating effects of a fire or burst water pipes. Do not leave yourself unprotected.